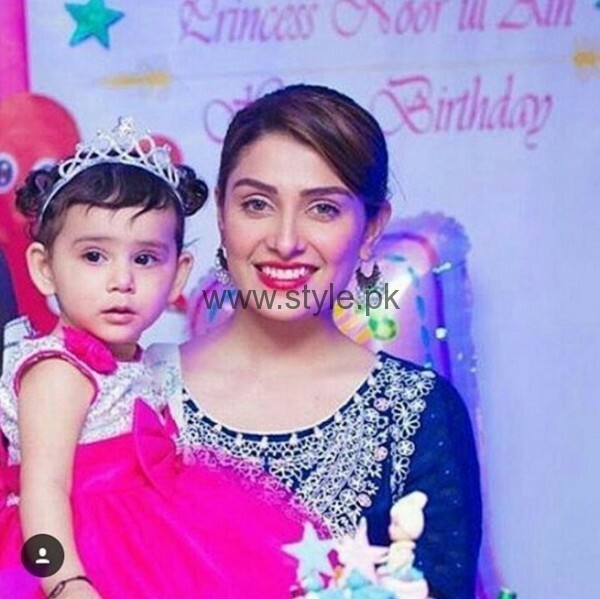 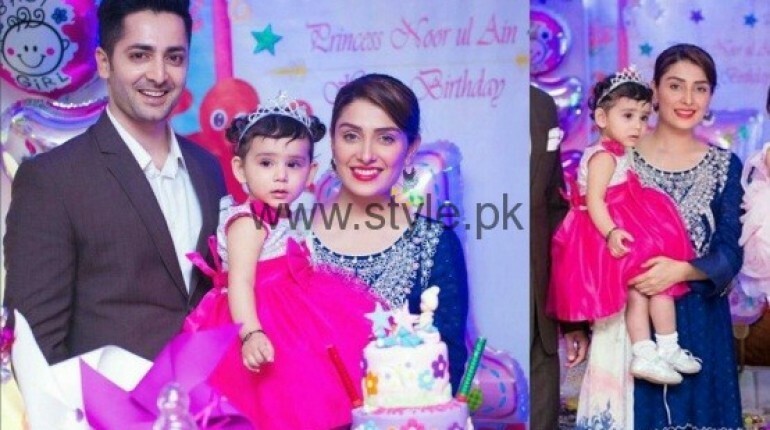 Here are the recent clicks of Ayeza Khan and Danish Taimoor with their angel Hoorain Taimoor at a birthday party. 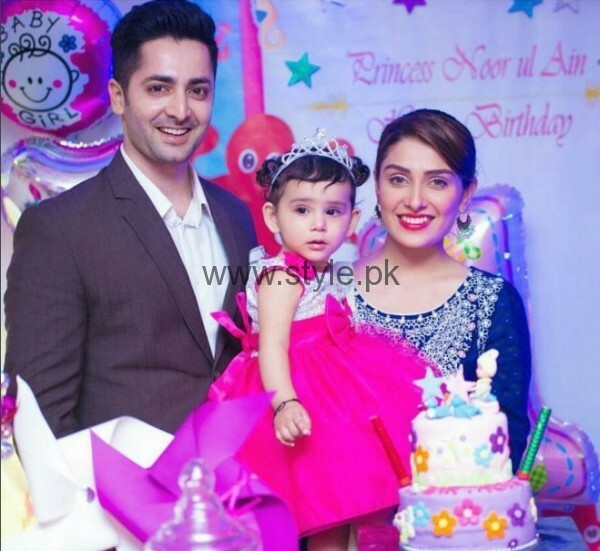 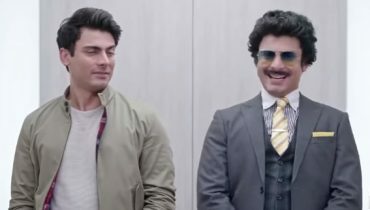 The Taimoor family was looking so cute. 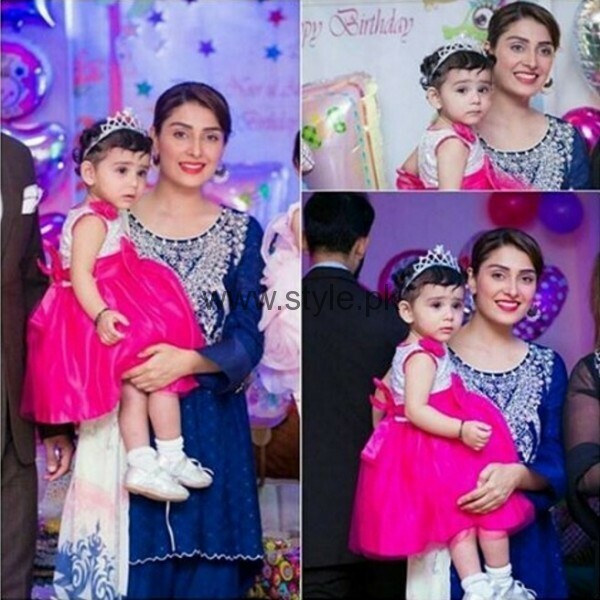 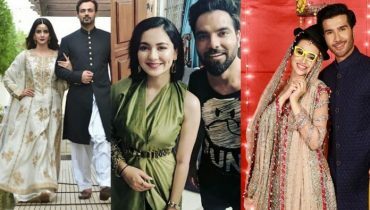 Danish was looking handsome as usual, Ayeza Khan looked absolutely gorgeous in the blue outfit by Sana Abbas and Hoorain Taimoor was looking like a princess! 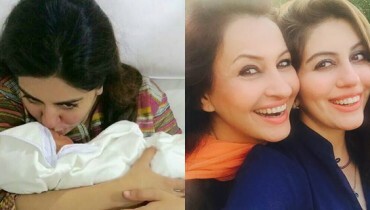 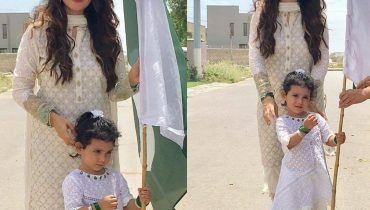 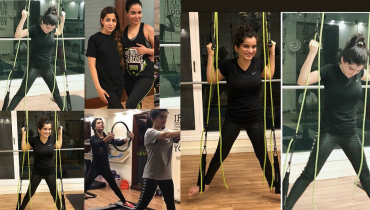 Aiza khan with her daughter paying tribute to Pakistan !